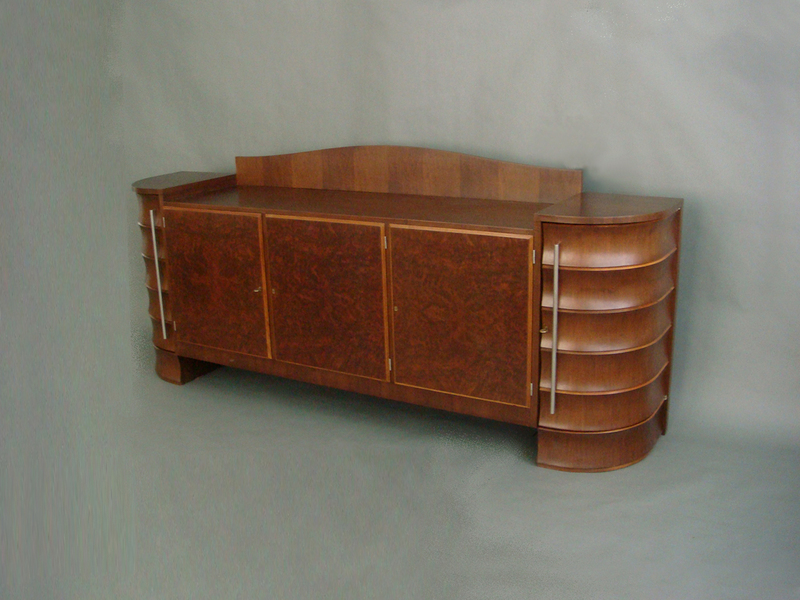 Fine French Art Deco walnut and burled walnut sideboard by Rene Prou in collaboration with Albert Guenot. 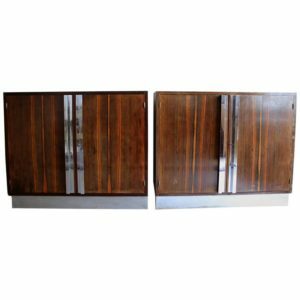 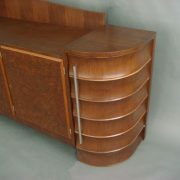 3 central doors in burled walnut et 2 curved side doors with vertical chrome pulls. 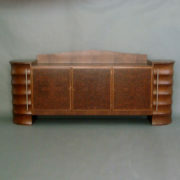 3 interior drawers. 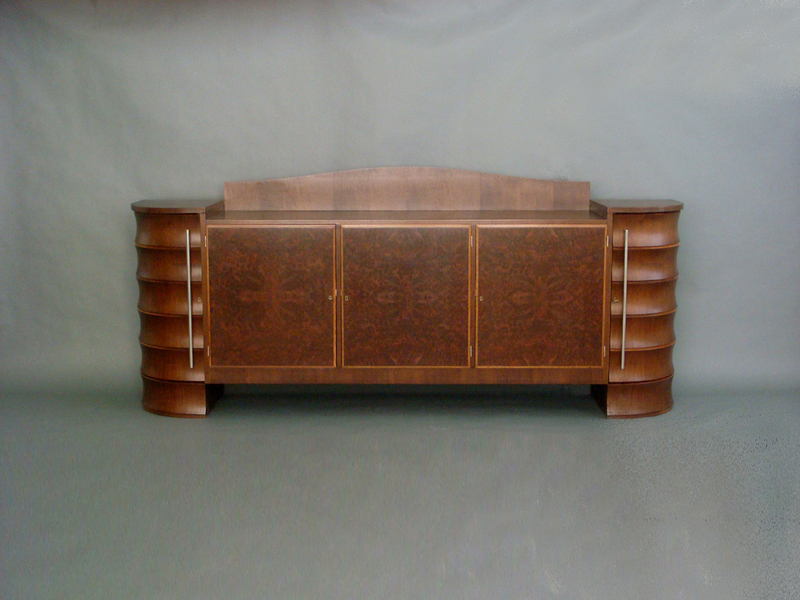 Width/Length: 7 ft. 11.5 in. 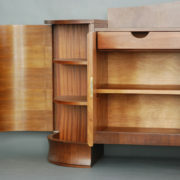 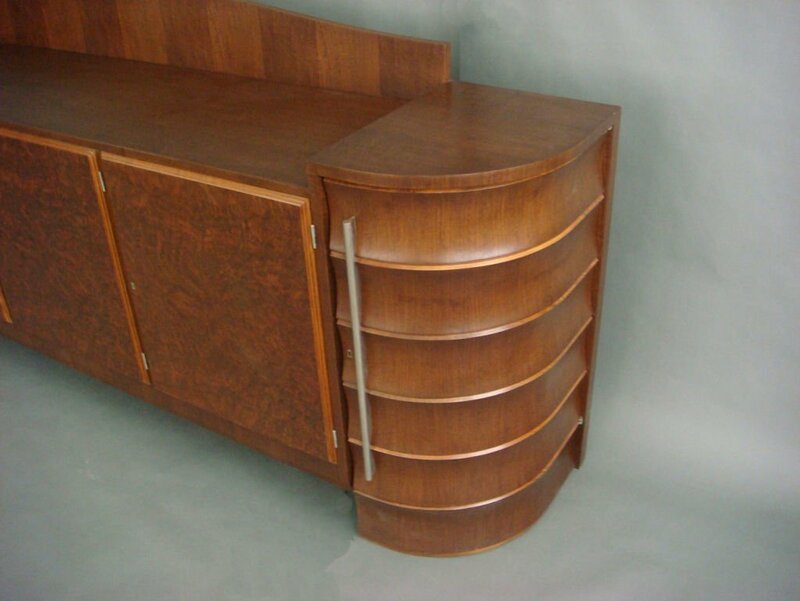 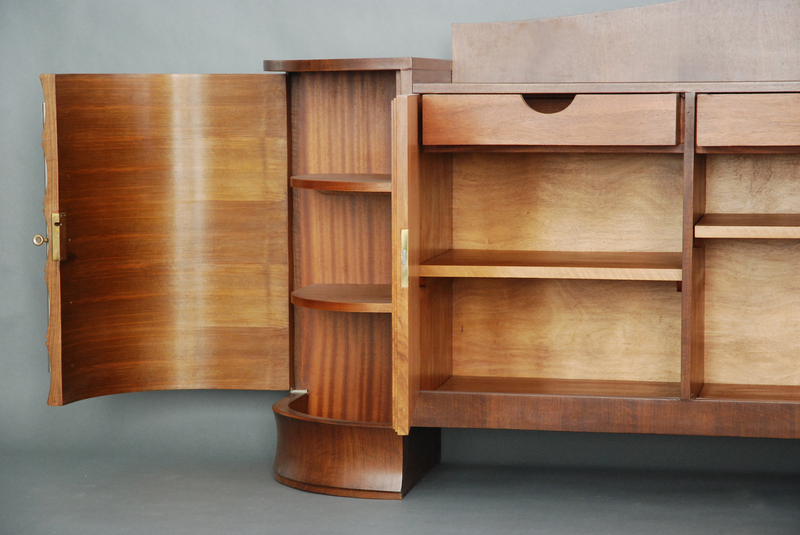 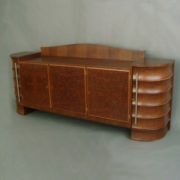 French Art Deco walnut and burled walnut sideboard by Rene Prou in collaboration with Albert Guenot. 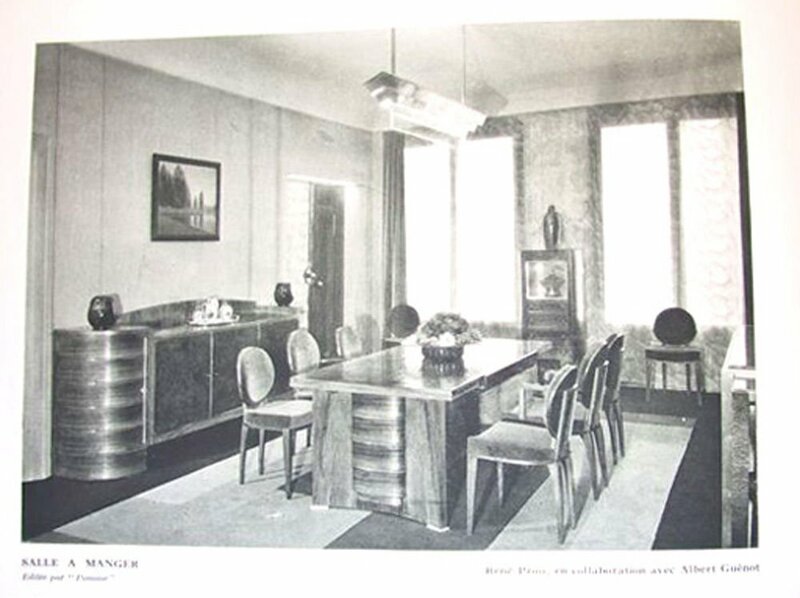 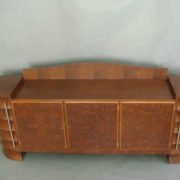 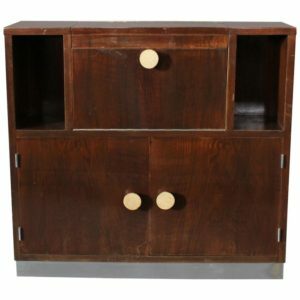 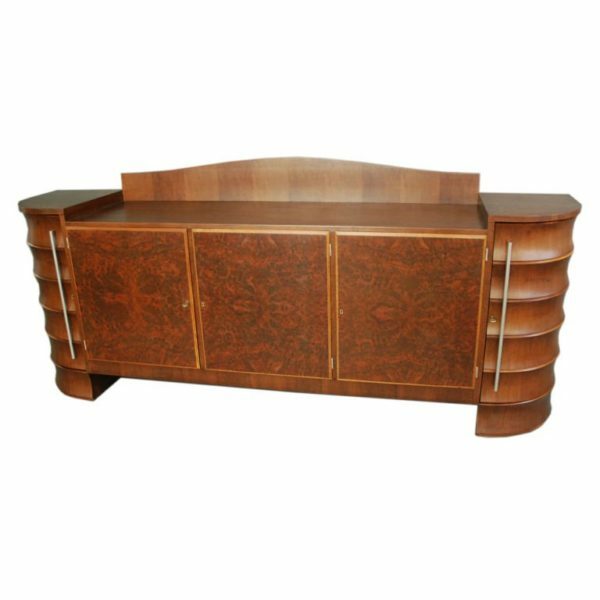 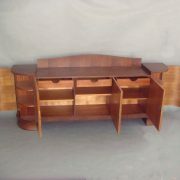 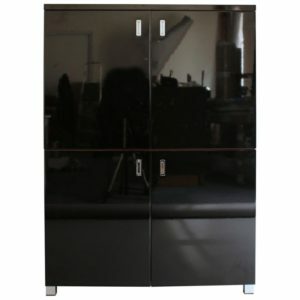 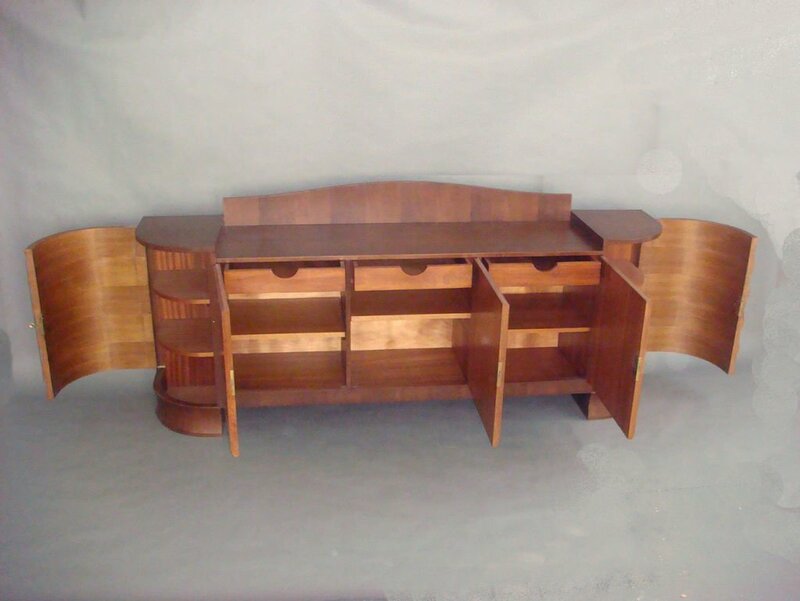 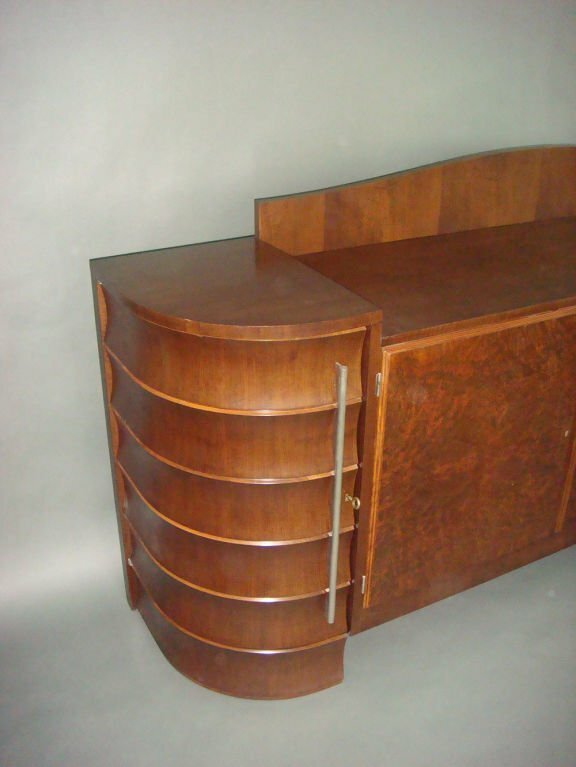 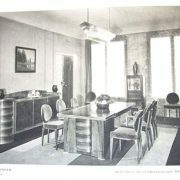 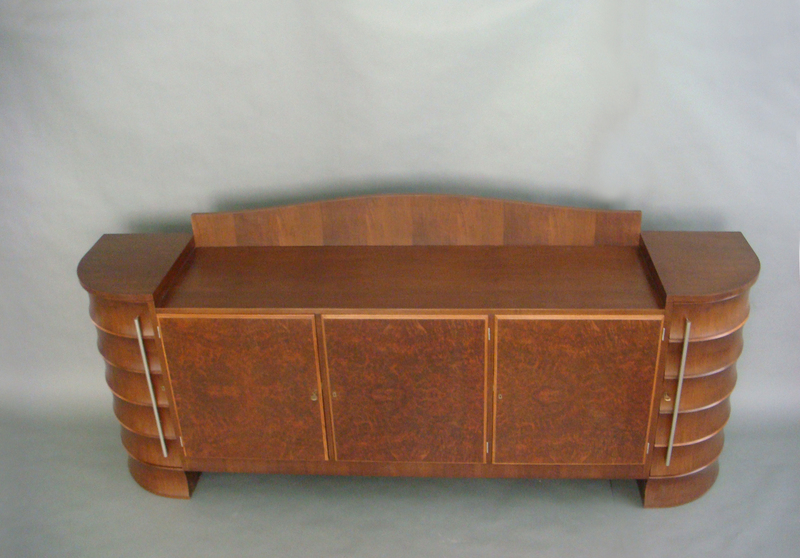 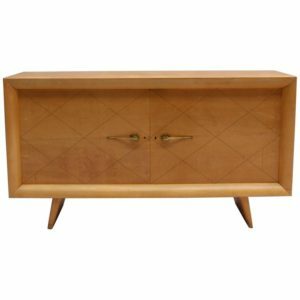 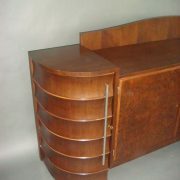 Soyez le premier à laisser votre avis sur “French Art Deco Sideboard by Rene Prou” Annuler la réponse.